Ever dreamt of experiencing the adrenaline rush of an action game by going into it yourself? Ever thought of how exciting it would be to live the life of James Bond or the likes of him? What seemed like dream before has now turned into reality (or virtual reality) with the help of technology. With the help of technology, people are able to watch movies directly in apps. Showbox entertainment app is one of them and it’s growing very fastly. Virtual Reality or VR is a technology which simulates an artificial world for the user. 2016 is the year of Virtual Reality Revolution with the release of gadgets like Oculus Rift,creating amazing experiences for its users. 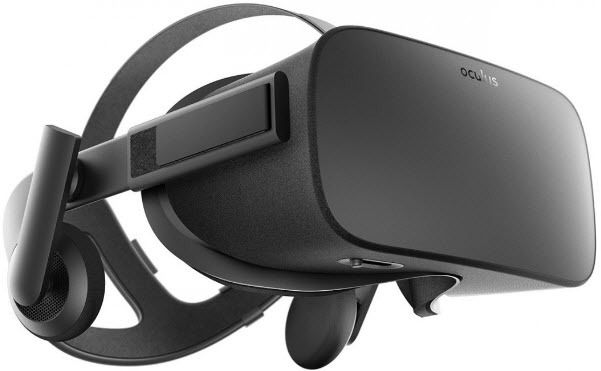 Oculus Rift is a virtual reality hardware manufactured by Oculus, which was taken over by Facebook in the year 2014. Released on March 28, 2016 with a hefty price tag of $599, it brings along a sensational treat for its users.The set includes a headgear with OLED displays for both eyes, running at 90Hz with a resolution of 1080×1200, and an inbuilt headphone with 3D audio effect, a remote to navigate, a sensor to track the position of the user’s head, cable for connecting it to PC and an Xbox controller. Rift requires a PC with high specs to work along and recreate the new realm.The gadget uses advanced display technology with 110 degree field of view, 3D audio effect along with accurate, low latency “Constellation” tracking system to literally transport you to a different world or a virtual reality.Mainly developed as a gaming device it has many applications like elevating the experience of movie watching, in defense for simulating war scenarios, etc. Although the price & the PC specs required is a drawback, the experience is literally ‘out of the world’ and it is only going to get better with the release of Oculus Touch, the hand held motion controllers which is expected to release in the second half of 2016.